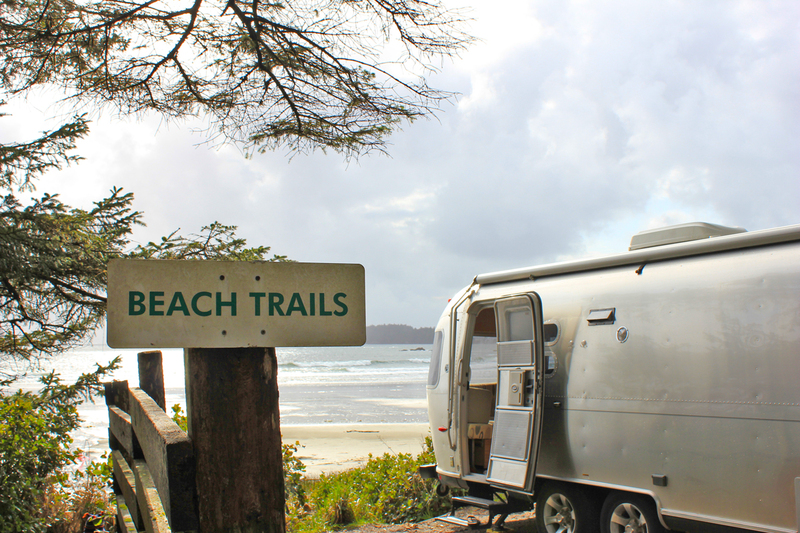 One of our very first Airstream trips was to the town of Tofino which is located on Vancouver Island in British Columbia, Canada. All we wanted to do was hang out by the water, fish and have a great time and luckily that is exactly how things progressed. Here is our night progressed. 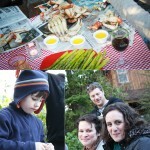 Lance brought his big crab steamer that we placed over the campfire and we steamed the crabs in fresh sea water. They were a huge hit. I spread out some newspapers, melted some butter and along with all of the other appetizers I made, we all went for it. Our captain was Captain Lance from Lance’s Sportfishing Adventures and is an independently owned and operated fishing charter company, based in the world famous Clayoquot Sound. Thousands of migrating salmon and halibut swim through Clayoquot Sound and the waters around Tofino every year. That was excellent news for B as that day he caught a 15 pound King Salmon and kept reminding me that he also caught 10 big “Dungeonous” crabs. Of course I was excited to cook up all this beautiful seafood! Not to toot my own horn, but everything turned out delicious. I swear my Airstream is my lucky charm. Unfortunately hubby had the camera on the fishing trip so I wasn’t able to take pictures (I stayed behind while preparing the feast for that evening). 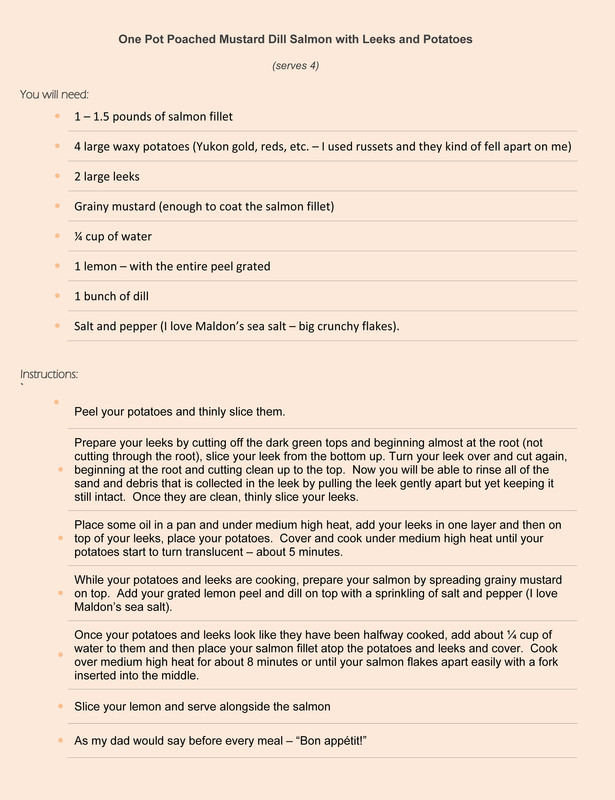 I did, however, make a delicious One Pot Poached Mustard Dill Salmon with Leeks and Potatoes the next night for dinner. It turned out to be such a simple and delicious recipe! I adore one pot meals that turn out as good as this one did. Decadent Eggs Neptune and Early Morning Tide Pools A Movie Inspired Bruschetta for Lunch and Thoughts of Last Spring of our Trip to Tofino, B.C.